David Luiz interested in Benfica return? Chelsea defender David Luiz has opened the possibility of rejoining Benfica when his Blues contract expires at the end of the ongoing campaign. The Brazilian is currently in his second spell with the west London giants but his future remains uncertain beyond the summer with the Blues reluctant to match his demands for a two-year contract. According to A Bola, Benfica are keen on a reunion with the versatile defender, who had made 132 appearances for the club between 2007 and 2011. It is added that Luiz could fancy the prospect of rejoining the Primeira Liga giants, should the Blues remain reluctant to change their contract stance for players aged above 30. 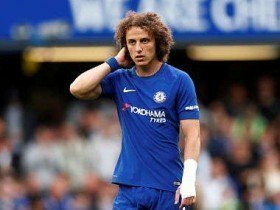 Luiz had made just 10 appearances for the Blues during the previous campaign with a knee injury and loss of form contributing towards the struggles under Antonio Conte. But, with Sarri at the helm, he has once more become a regular for the Premier League duties where he has partnered Antonio Rudiger at the heart of the backline.